Carrying more than 900 Jewish refugees fleeing the oppression of Nazi Germany, the German ocean liner MS St. Louis was anchored so close to the Florida coast, its passengers could see the lights of Miami. But coming to the United States was out of the question. 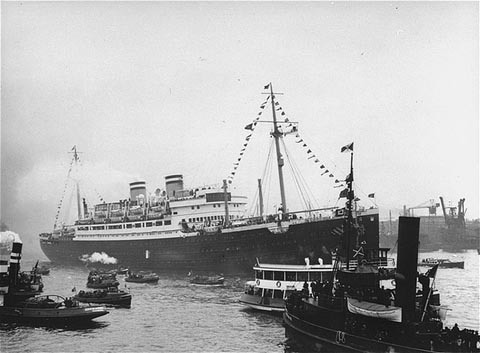 Thousands of European Jews had applied for visas and were in line ahead of the passengers. The waiting list was several years. Some of the passengers had cabled President Franklin D. Roosevelt asking for refuge, but Roosevelt didn't respond. Still recovering from the Great Depression, the nation was in no mood to accept more immigrants to compete for scarce jobs -- polls showed 83 percent of Americans opposed relaxing restrictions on immigration. The passengers had hoped to disembark in Havana, Cuba, and wait there while their visa applications to the U.S. were processed. But the Cuban government was embroiled in its own immigration debate, and despite pressure on Cuba from wealthy Jewish philanthropists and U.S. diplomats to admit the passengers on a humanitarian basis, Cuba declined to take them in and ordered the ship out of Havana's port. Politics also ruled out the Dominican Republic as a possible safe harbor. So on June 4, 1939, the MS St. Louis anchored four miles off Miami Beach and was sighted by the Coast Guard, which immediately dispatched boats to the ship, as recounted in the Miami Daily News. "Soon after the arrival of the coast guard craft the St. Louis hoisted anchor and put to sea, accompanied by the guard detail," the story said. "The coast guard patrol boat C-244, out of Fort Lauderdale, stood by the ship as it slanted down the coast, barely making way, to prevent any possibility of attempts of refugees to jump off and swim ashore." A Coast Guard crewman told of running in close to the ship. "'It doesn't seem possible that so many people could crowd aboard one ship,'" he said. Two days later, the St. Louis was heading north -- and back to Europe. It did not return to Germany. 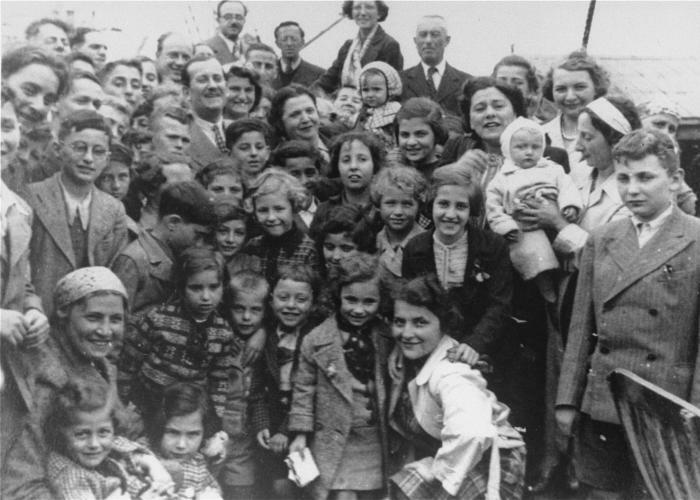 Jewish organizations negotiated with four European nations to accept the passengers. Great Britain took 288, but the other 620 were taken by France, Belgium and the Netherlands -- countries that would fall to the Nazis when Germany invaded Western Europe the following year. Of those, just 87 were able to emigrate before the invasion. Of the rest, 254 were lost in the Holocaust, and 278 survived.